Your dining room set is an important yet overlooked aspect of your home. Your dining area is not only the place where you eat dinner with your family every night, but it is also the place where you make treasured memories during holiday dinners and special celebrations, such as birthdays and anniversaries. You should choose a dining room set that will help you create those memories. The two most important aspects of your dining room set are its functionality and its appearance. With the right functionality, you’ll be able to quickly convert the space for small, nightly meals or large, family gatherings. With the right look, you’ll set the tone you want and be able to express some of your personal style. Traditional furniture is usually made of solid wood, which many people like both for its quality and its beauty. If you take care of wood properly, it will last for generations, and you will have a beautiful heirloom for your family. Traditional wood dining sets typically are very ornate, with detailed carvings and molded legs. For some, this style can seem a bit over-the-top and dated. For others, the style evokes a time gone by that is both classic and elegant. The disadvantage of traditional furniture is that it is usually quite heavy and cumbersome. Tables made out of thick, solid wood are not easy to move. If you plan to stay in your home your whole life, this may not be a problem. However, if you live in the city and need to move your things up several flights of stairs, this can be a problem. It can also be a problem if you need to move the table out of the space for cleaning or remodeling. Modern dining sets can be made out of a variety of materials, including solid wood, metal, or even plastic. The type of material used is not always an indication of the quality. Many high-end, designer table sets have been made from plastic and other synthetic materials. Modern dining sets feature clean, simple lines. They are devoid of carvings, trims and moldings. Not all dining sets are square with straight legs. Many geometric shapes are employed, but the designs all have the same simple, unbroken lines in common. Modern dining sets are more versatile thanks to their simplicity. They look right at home in a variety of design schemes. Since these tables are often made out of light-weight materials, they are usually easier to move. Another option for dining room sets is transforming or space-saving furniture. These tables are the most versatile of all because they can transform their shape to meet your needs. 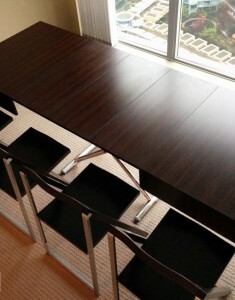 For example, some tables are small enough to seat two in their basic position. However, when you pull apart the legs and add leaves, the table is big enough to seat 10 to 12 people. You don’t have to waste space with a large table in your dining room when it is not in use. 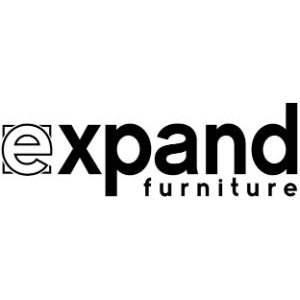 Transforming tables also offer flexibility to change the look of the room as needed. You can change the style of the room from casual to formal with just a few adjustments. 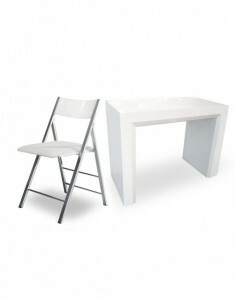 These tables typically have a modern design, and they come in a wide variety of colors, styles and sizes. 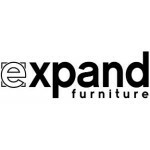 Expand Furniture sells high-quality, designer space-saving furniture, including a wide selection of transforming dining room tables. Our products can convert from individual desks, end tables and coffee tables to a casual dining table or full-size dining buffet. Our tables have a unique, modern design that you won’t find in any retail store. When you shop our online catalog, you’ll get a dining table that is gorgeous and versatile. Explore our selection today to find the perfect dining room table for your home.